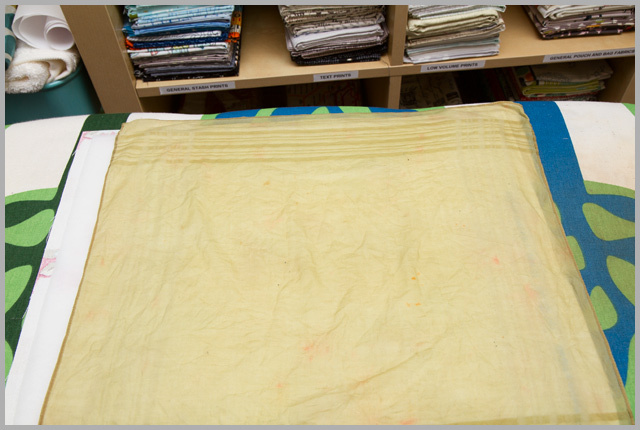 So I’ve talked about interfacing here before, but if you’re interested in finding out more about the different kinds of interfacing, one of the best places to find out the whys and wherefores is in my friend Sara’s new book, Big-City Bags, and she also has a lot on her blog, Sew Sweetness . What I’d like to talk about today, in kind of an outtake of the Whole Lotta Bag Along, is how to actually apply the interfacing. Over the years in workshops and classes I have seen some, err, interesting approaches to applying interfacing, and I often see people complaining that they get bubbles and it just doesn’t work ‘properly’ for them, so here’s a quick run down on how you should do it. 1. Press your fabric. Get all those wrinkles and things out of there, because any you leave in there, well, good chance they’ll be fused in there. Lighter interfacing especially is prone to be pushed around by the fabric, and you can’t see that the fabric has bubbled underneath. Don’t skip this bit. You know what? You only need, like, half of those instructions too! See that bit at the end? From the iron with the 2 dots onwards? That’s it. 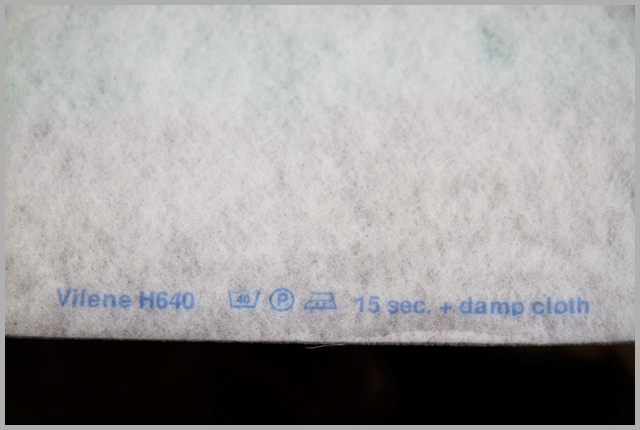 Now if it’s not printed on there, then you may need to either resort to reading the packaging, or the manufacturer’s website, or the end of the roll in the shop that you bought it. But mostly, it’s printed there. 3. Set up your iron according to your instructions. Now mine is normally set to ‘super heat’ for cottons, but dial it back for this bit. I also usually add water to help get a bit of steam going. Now I’d like to say it’s always 2 dots, because that’s what it is on all the interfacing I use, but for the super fine stuff to use with silk and the like, I think it’s usually a lower temp. 6. 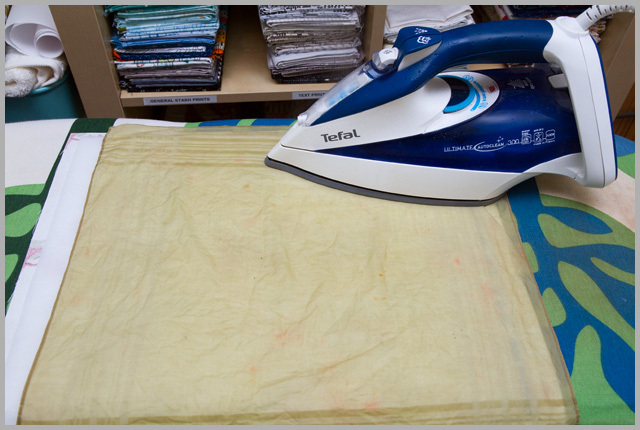 Place the iron on top – start at one corner and work from there. Do NOT move the iron, take your hands off it! Time the amount of time on the instructions. Now you can lift it, and move it to the next bit. Repeat until you’ve been all over that sucker. I normally alternate the direction of the iron as I work my way down for most efficient coverage, but that’s the tessellating maths geek in me. This bit is not quick. I’m sorry about that, but I can’t make that glue fuse at warp speed. No, really, I can’t. 7. Once you’re done, flip it over and give a quick press on the other side. 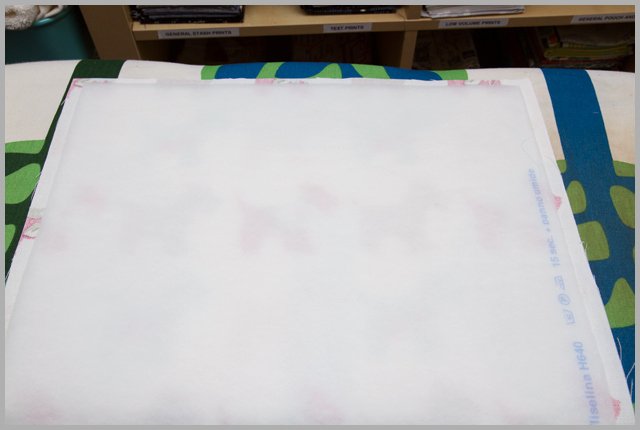 Et voila, well applied interfacing! This is exaclty how I do it but I press that iron. My iron is not heavy so I must do the pressing job so the glue gets melted. I even use hankie as well 🙂 and I really dislike this part of bag making. This is helpful, as I am guilty of not reading and not leaving the iron still and not leaving it long enough, pretty much every mistake. This is very handy information!! I'm filing it away for future reference. OOh Ive been doing it all wrong. 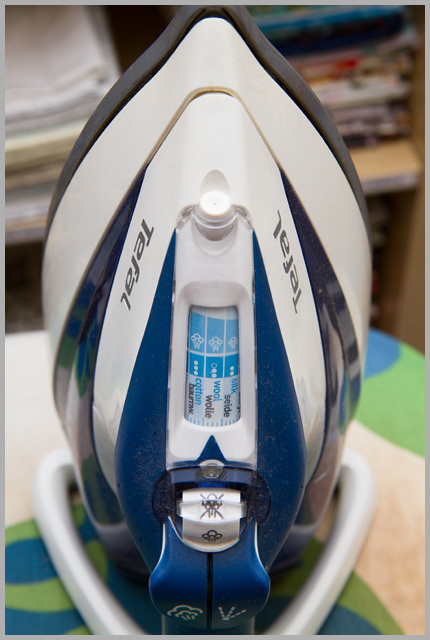 I just whack my iron down and iron like a mad woman…thanks for the heads up. I have to find a man sized hankie in an attractive colour to dip in water but Im definitely going to try your method. Succinct and useful, what more could you need? *hang head in shame* I do it wrong. I will try to do better. I promise to actually read the instructions next time.